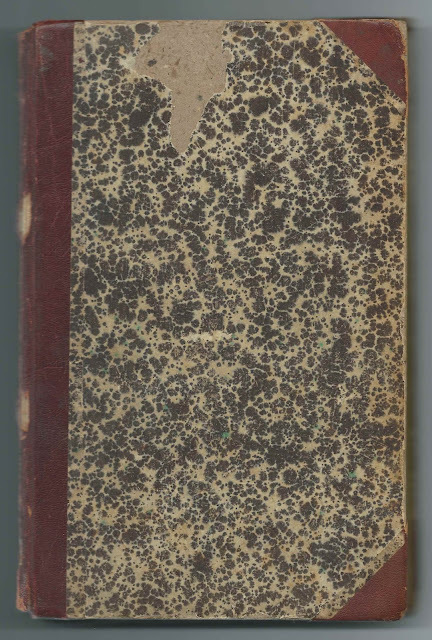 Teunis Dimon Huntting, better known as T. D. Huntting, while presumably working on what would become his book The Hunting, or Huntting Family in America, published in 1888. 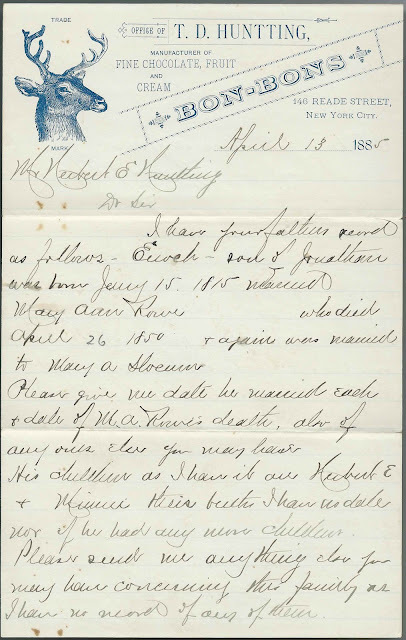 He may have made handwritten copies of the letters he sent to Herbert E. Hunting, or perhaps the letters were returned to him at some point. 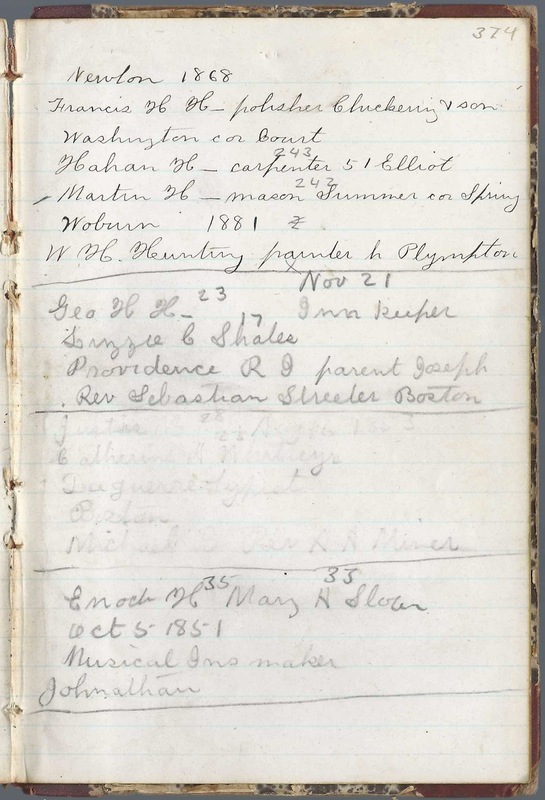 The journal measures approximately 8" by 5-1/4" and contains many pages, which the author numbered himself in a way that made sense to him, with gaps. Not all pages have handwriting, but more than half do. The journal goes back to John Huntting (1597-1689), who arrived at Dedham, Massachusetts, on March 16, 1638. 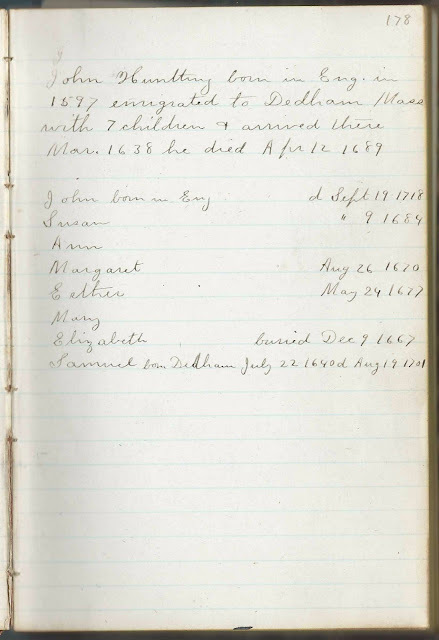 An alphabetical surname list and an alphabetical list of the people mentioned in the journal appear at the end of this post. Page numbers appear in most entries, so if you have a question, I can double check for you. 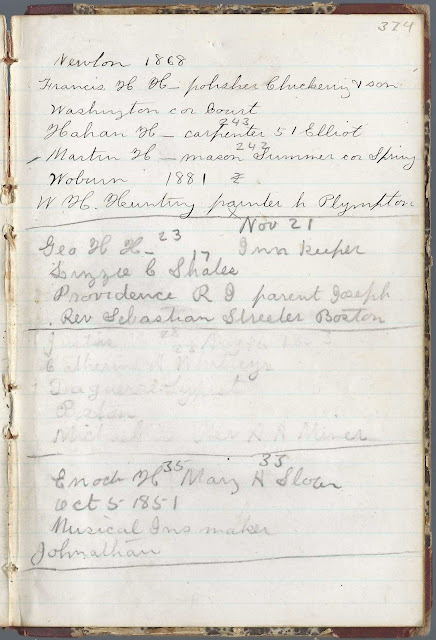 Please take the information handwritten in the journal and inserts with a grain of salt; further research and corroboration are required. 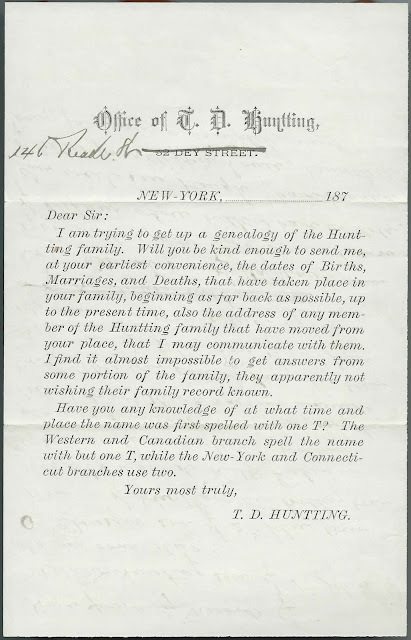 Below, a form prepared by Teunis Dimon Huntting: Note that his address was originally 52 Dey Street, but later 146 Reade Street. These addresses were either in Brooklyn, New York or New York City. Note also the date range, indicating that he was using this form in the 1870s and perhaps later. 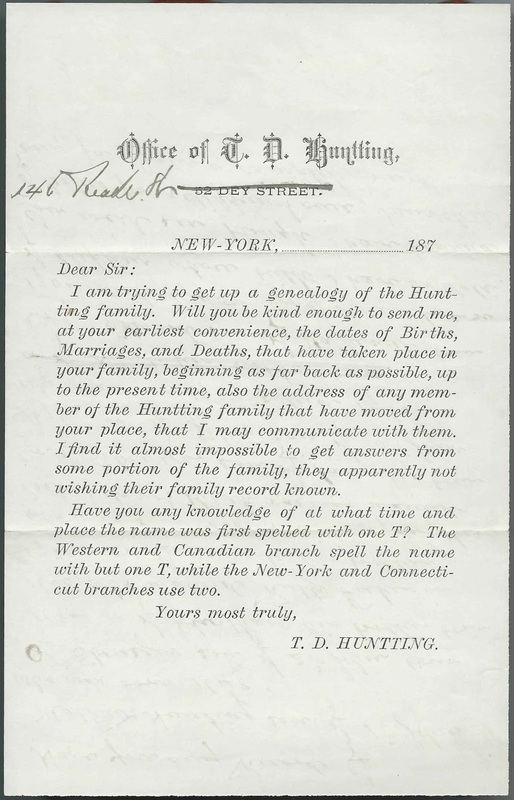 Most of the letters were written on the letterhead of T. D. Huntting's business, Manufacturer of Fine Chocolate, Fruit and Cream Bon-Bons at 146 Reade Street, New York City. 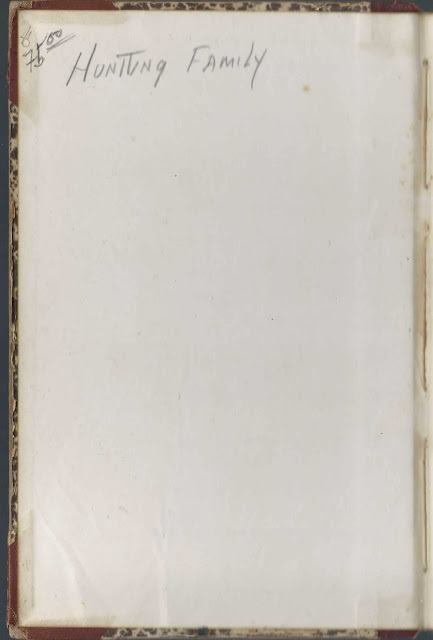 Several letters not on company letterhead bear the return address of 124 Quincy Street, Brooklyn, New York.